how smart phones can help you understand health literacy, and reach more patients! As a literacy researcher and educator, I have spent the last few years talking with folks about health literacy. My emphasis is on helping providers get the outcomes they want with the work they are already doing. This involves knowing how to be more efficient and effective in communication and education. I thought I’d share here with you what I’d said about cell phones and health literacy that these students found helpful. And I’ll end with two things you can do to help your patients, regardless of their health literacy levels. In the patient encounter, you have information that will help the patient do something, be healthier, ideally right? You hope to communicate it in a convincing way, so it will enter into patients’ thoughts and actions toward better health outcomes. There’s still more we need to know about how patients engage with language around their health, how they learn to navigate the health care system, and how best to support them in these processes. The physicians I have worked with agree that, in the immediacy of the face to face patient encounter, they seek to help patients understand and, often, take action on, an important health matter. And again, this is where health literacy comes in. So first, a few words about literacy. 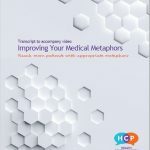 The field of health literacy has addressed patient communication using some concepts and tools from literacy research, mostly related to written materials and to patients’ reading levels. Health literacy is about much more than reading, but reading does get the majority of the attention. That may be in part because when we hear ‘literacy,’ many of us think ‘reading.’ Literacy is actually much more complex. We all have a range of skills and processes for creating and interpreting the information we encounter each day. And this is very important and, as it turns out, helpful to recognize, when it comes to literacy. I’m sharing these, and this more robust idea of what literacy is, in order to help you appreciate the many ways literacy is connected to everyday life. And to health. et voila, health literacy. Now in a moment I’ll show you how this can be helpful during the patient encounter–especially when you’re trying to communicate information that will motivate an action, and you’re unsure of someone’s comfort with health literacy. But first, a few words about ‘illiteracy.’ “Illiteracy” as a term has been used a threatening and pejorative way for decades. It is still incorrectly used as a proxy for formal education (or a lack thereof). “Illiterate” can quickly conjure thoughts of someone being unintelligent, backward, or somehow lacking in what’s really necessary to live in the modern world. Sometimes, our language, or the language in policies we encounter, can get scarily close to implying that people with low literacy lack a kind of logic or even higher thought process that other people have. This is clearly untrue, but people who are repeatedly told they are illiterate can come to believe such things about themselves. Many studies prove that people who have been labelled illiterate by one measure or another have multiple sophisticated ways of reading a text or image, keeping track of items, measuring, weighing, estimating and calculating. They access information in multiple ways, and learn by and from their families, peers, and communities. Patients with literacy difficulties draw on a broad range of strategies and skills when confronted with complex health-related experiences. I mention all this because I’m a fan of yours, and of your patients. And I am not a fan of anything that makes you feel further apart from each other. I’m a fan of removing barriers. And sometimes these barriers are hiding in the terms we use. OK, now here’s the bit about cell phones. I’ve often mentioned cell phones when I’m talking about health literacy. This is because they illustrate very well how we all use language every day in complex ways. From a literacy perspective, smartphones are incredibly demanding in terms of the reading, writing, and numeracy tasks we need to be able to do, just to operate them (saying nothing of the technical and mechanical aspects). Let’s talk about those cell phones. If someone can use a smart phone, they have some level of literacy and numeracy. And there is a good chance that your patient uses a cell phone, and it’s probably a smart phone. More on that in a moment. Ask your patients if they use a cell phone or smart phone, and if so, what they do with it. 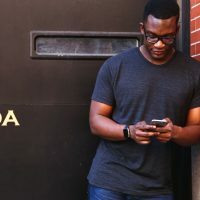 Regardless of whether or not your patient uses a cell phone, it makes sense for you to connect your information and advice to everyday literacy tasks. You could consider which everyday literacy tasks would make a decent metaphor or analogy. “Think of this like keeping track of the cost of the groceries in your basket…” Again, the point is that you are attaching your recommendation to the patient’s already existing skills. Thinking about health literacy in this way requires—and rewards–more attention to the patients’ own social, material, and literacy worlds. As a bonus, your intentional communication can not only increase your effectiveness as an educator, but as research shows, also some intermediate outcomes associated with improved health, including trust, mutual understanding, and self-efficacy. You and I are both trying to reach people through language. Part of my job, as I see it, is to get you thinking in slightly different ways about your own practice, including some things you might take for granted about language. This is so that you can begin to see opportunities and possibilities that maybe you hadn’t noticed before, in order to make the impact you seek. 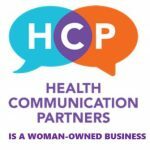 If this approach sounds good to you, reach out to me at healthcommunicationpartners.com for more information. Because I’d love to help. This has been 10 Minutes to Better Patient Communication, and I’m Dr. Anne Marie Liebel.